Best remembered for their classic cover version of Woodstock, the song commemorating the seminal sixties rock festival, this band was formed by Ian Matthews after he left Fairport Convention at the start of 1969. The material for their first album was written and produced by songwriters Howard and Blaikley. Characterised by Matthews' distinctive, crystal clear, high-pitched vocals and Huntley's fine pedal-style guitar work, their debut album was a fine amalgam of folk and country styles, which met with much critical acclaim. Second Spring sold better, getting into the UK Charts but it was their country-style cover of Joni Mitchell's Woodstock, which briefly made them a household name after bursting to No 1. Sadly, the chemistry that made the band such a successful formula wasn't destined to remain and after one further album, Matthews left to go solo. 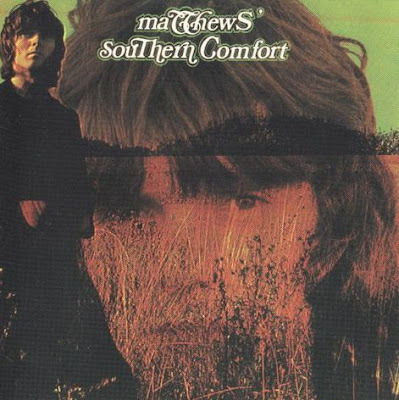 The remaining members continued as Southern Comfort, but without Matthews' distinctive vocals were never able to attain the same heights and eventually fizzled out. This is emphatically demonstrated on Meets Southern Comfort, the 1987 See For Miles compilation, which featured material by Matthews Southern Comfort on side one and contained songs by Southern Comfort on side two. The Southern Comfort tracks are pleasant enough but without Ian Matthews' distinctive vocals sound very ordinary.